You can earn 700 yards with this purchase! The Wilson Staff Defy Combo set is an integrated hybrid-iron set that features Speed Sole Technology, allowing for a thinner face to sole transition. This expands the sweet spot lower in the face and creates faster ball speeds and increased distance. 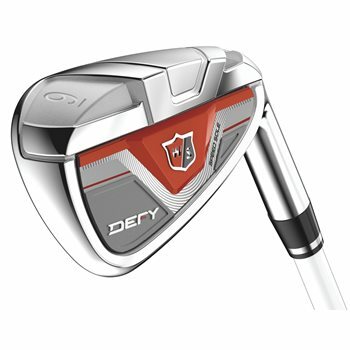 The Defy Combo set offered perfectly gapped lofts and oversized head shapes to deliver optimal launch conditions and forgiveness.